Are you looking for a meaningful career in the construction industry with a long standing and reputable company? Ray Labbe & Sons in Brunswick is now hiring for full time and seasonal positions. This is your chance to join an industry leader who offers excellent benefits, competitive compensation, and opportunities for career growth. During our 60 plus years in business we have earned a reputation for performing high quality work while striving to improve our community. 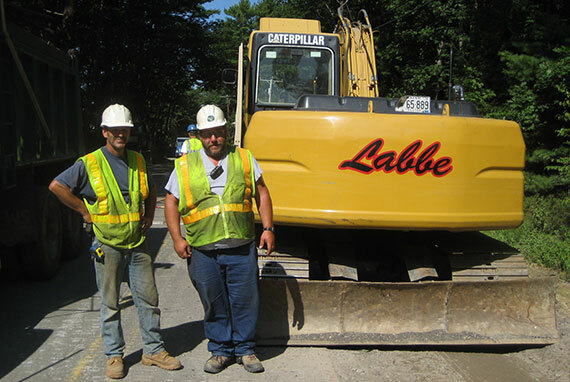 Recently Ray Labbe & Sons was awarded “Business of the Year” by the Brunswick Downtown Association as well as the “Major Achievement in Construction” award by the Associated General Contractors of Maine, which is their highest honor. Our commitment to the industry, our customers, and especially our staff is one of the top reasons why we have so many long term employees, some which have been with us for nearly 30 years.